CREAte member and PhD student Jamie Jacobs took part in this year’s British Association of Victorian Studies conference on Victorian Patterns at the University of Exeter. 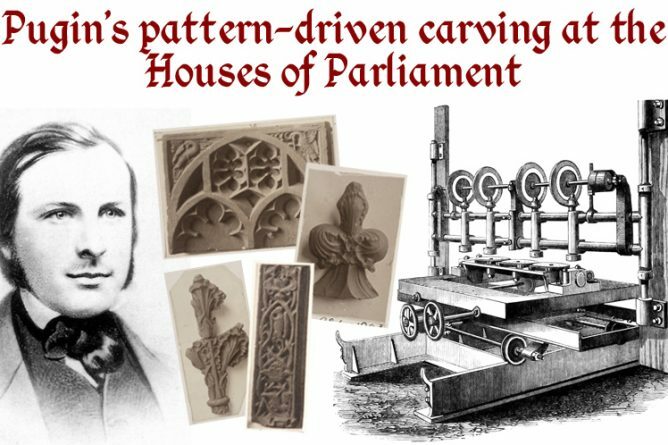 She presented a paper titled ‘Pugin’s Pattern-Driven Carving at the Houses of Parliament’, where she looked at AWN Pugin’s procurement of architectural casts of medieval examples for use at the Thames Bank Workshops. Here, these casts were used with steam-driven carving machinery to produce multiple reproductions at once. This investigation ties into her own research on Pugin’s attitude to technology and his use of contemporary machinery to make objects in the gothic style. 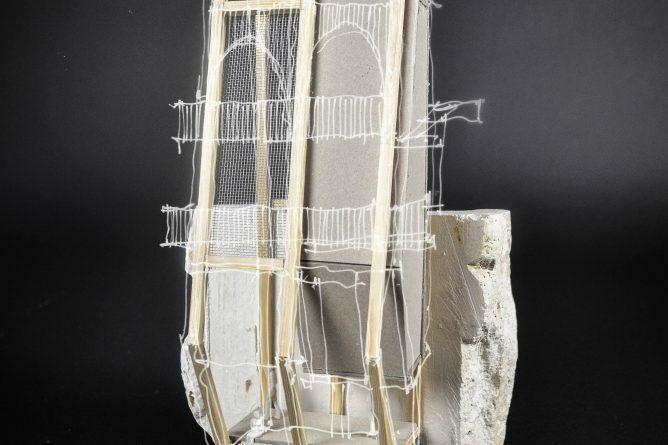 We are pleased to announce that two of Kent’s architecture graduates, Steph Elward and Fergus Littlejohn, have had their work selected to be included in RIBA’s Fresh Perspectives Exhibition. Fresh Perspectives is a display of recent student work from across the country in response to the theme of RIBA’s current exhibition in the Architecture Gallery, Disappear Here: On perspective and other kinds of space. Perspective is one of the enduring, fascinating and important concerns of architectural thinking, representation and practice. This new display is a celebration of the theme, drawing on some of the brightest work from architectural students and recent graduates.